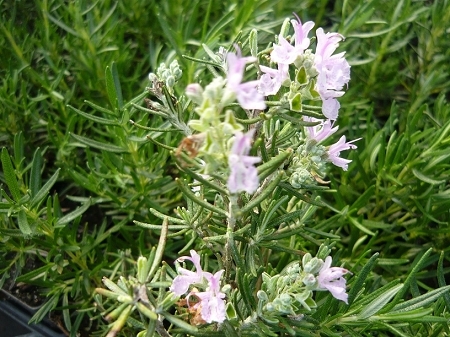 Pink Majorca Rosemary - Beautiful culinary rosemary variety features showy pink flowers when in bloom. Upright trailing growth habit. Nice container plant. Grows to about 4'. Perennial zones 8-10. Live starter plant in 3 inch container.